List of what to do when you want to try to repair the PS3 YLOD! If this is your first time attempting to fix the YLOD, do get a heatgun and thermal paste ready. Blow onto the PCB board for around 10-15 mins and let it cool down to room temperature (usually around 30 mins) before assembling it again for testing. Let’s say step 1 works great but it YLOD again after you leave it off for several hours, remember to try the heatgun method again to verify if the process can revive the PS3 again. If step 2 is repeatable, go get some flux for PCB (paste or liquid is fine) and NEVER TRY TO REMOVE THE IHS ON BOTH THE RSX AND CELL PROCESSOR. Perform the flux repair process and see if it can revive the PS3. If step 3 works fine, see if the PS3 can be turn on again without any YLOD after leaving it off overnight. 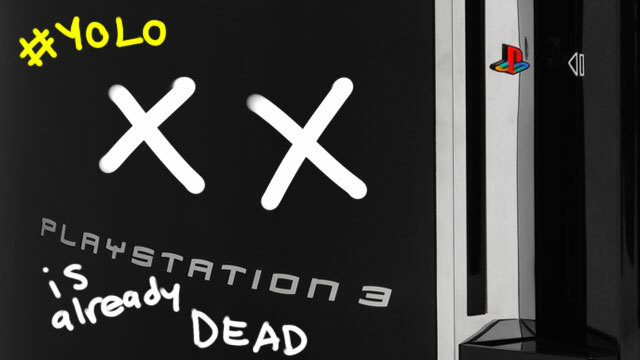 If it works, the PS3 will turn on again without any issue and if it YLOD, just throw the PS3. If you are ok with risky repair method, DO TRY TO REMOVE THE IHS CAREFULLY. One single scratch on it like what happened on my repair attempt, say SAYONARA/GOODBYE to the PS3! If Jesus Christ is on your side, the PS3 should be able to boot up. Replace Jesus Christ with your appropriate religion messenger. Or just accept the scientific fact that your PS3 is going to die anyway. If you happened to encounter a good deal for a used but usable fat PS3, just forget it. Sony designed it to self-destruct anyway. Look for a brand new PS3 Slim or Sort-of-super Slim version. Save yourself the headache of risking a potential YLOD.